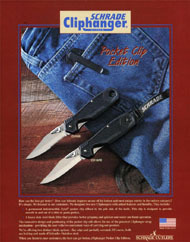 Daily cattle drive in Ft Worth. 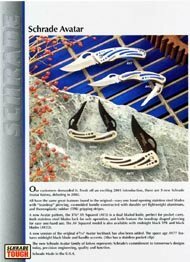 S&W3001B knife parts "Baby Swat"
I’ve been busy - Post your collection, if you can! 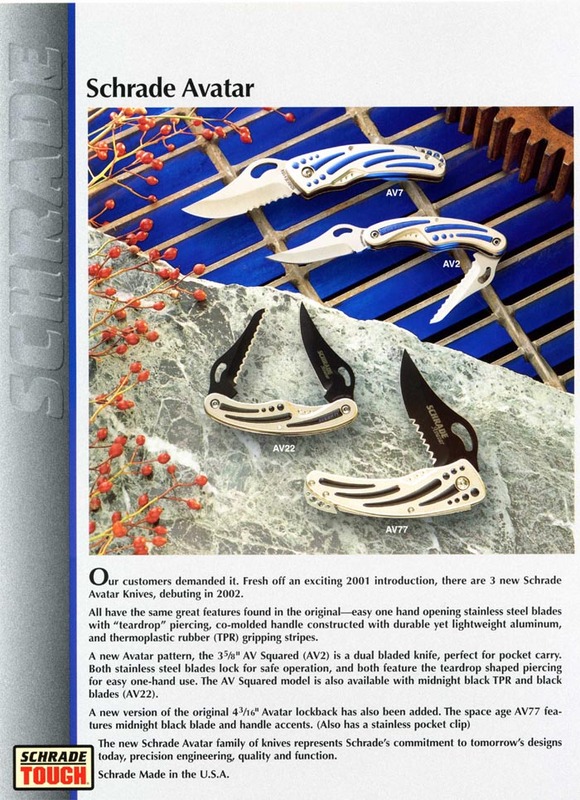 This lists the model numbers are some of the newer and more technologically advanced offerings from Schrade. Although the lightweight series was introduced in the 1980s, most of these knives are produced in the later nineties and after the turn of the 21st century. 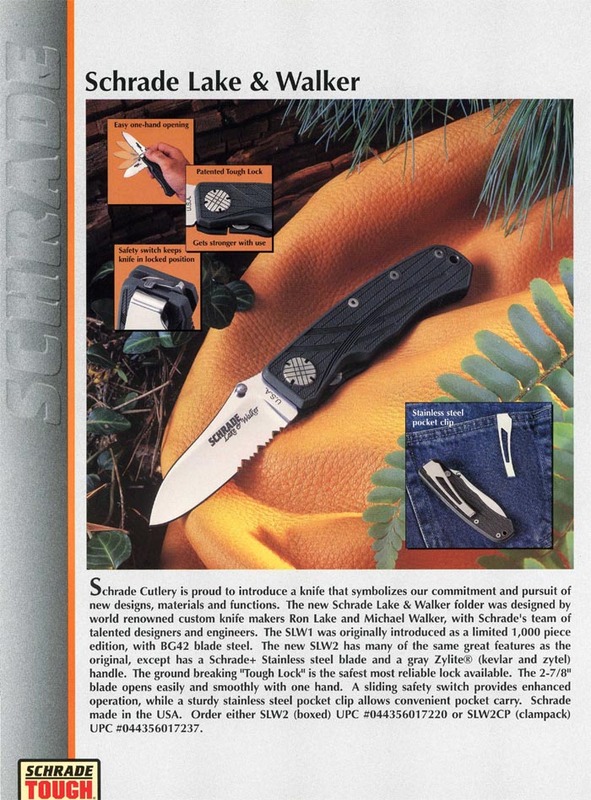 It is my opinion (and mine alone) that these knives were an attempt by Schrade to stay abreast of the changes in the cutlery industry, the changing taste of the knife consumer and technological changes that were adaptable to knives. 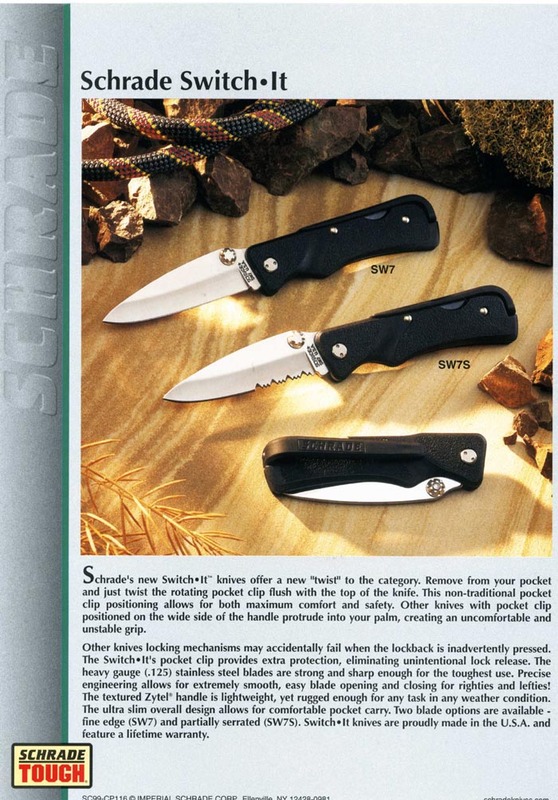 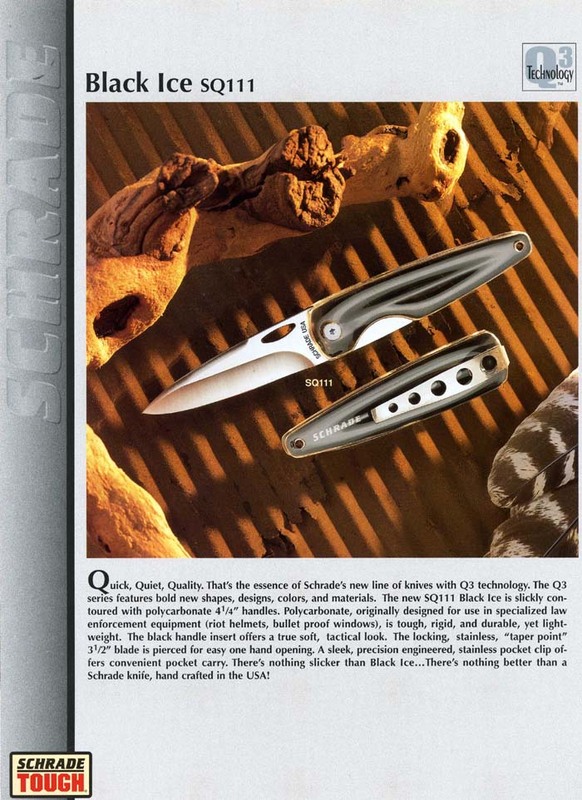 Schrade had a long history of innovation in the cutlery industry. 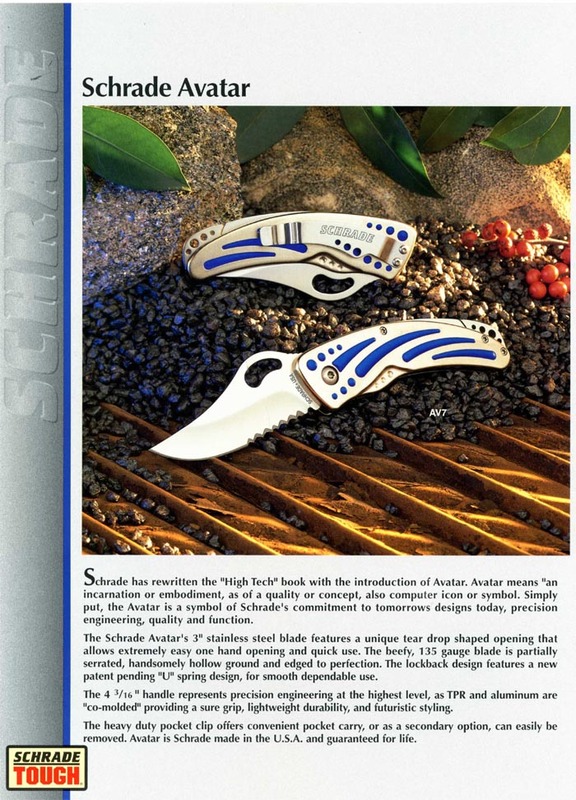 George Schrade himself not only held numerous knife patents, but also held the patents on many pieces of machinery that he designed for the manufacturing of knives. 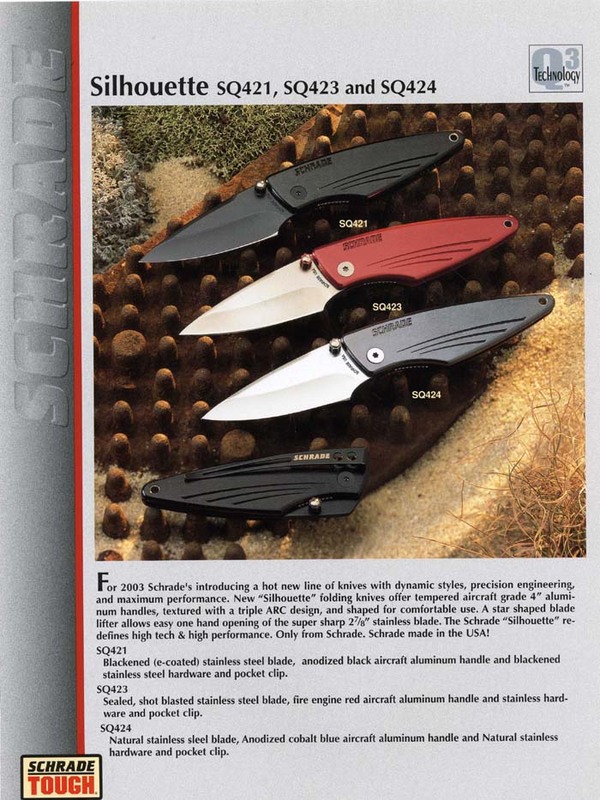 It is not my intent to speculate about the reasons behind Schrade’s bankruptcy, but I do believe some of their newer knife designs are intended to take back market shares they had lost. 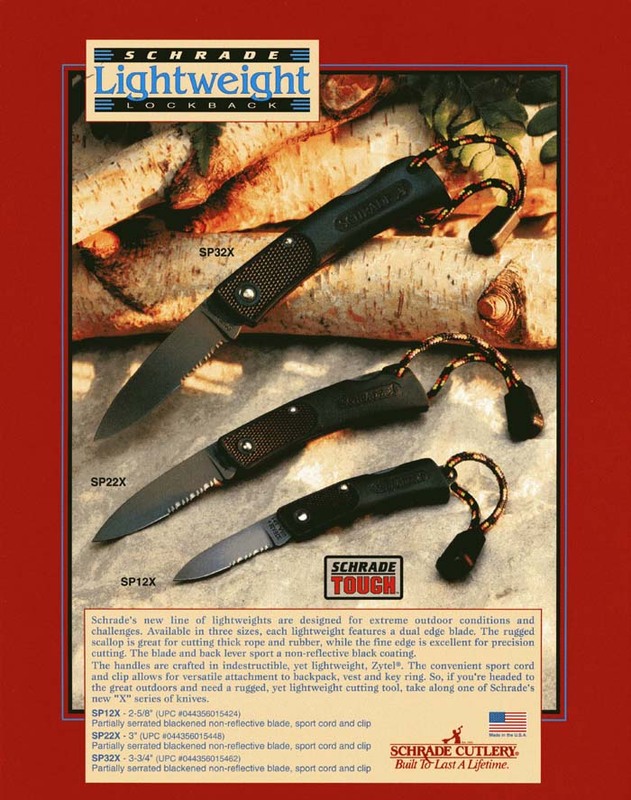 Unfortunately, we will never know if these knives would have gained those market shares for them, as they were forced out of business July 31, 2004. 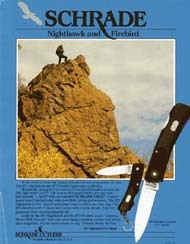 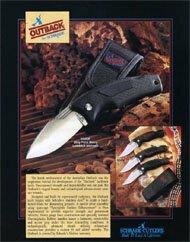 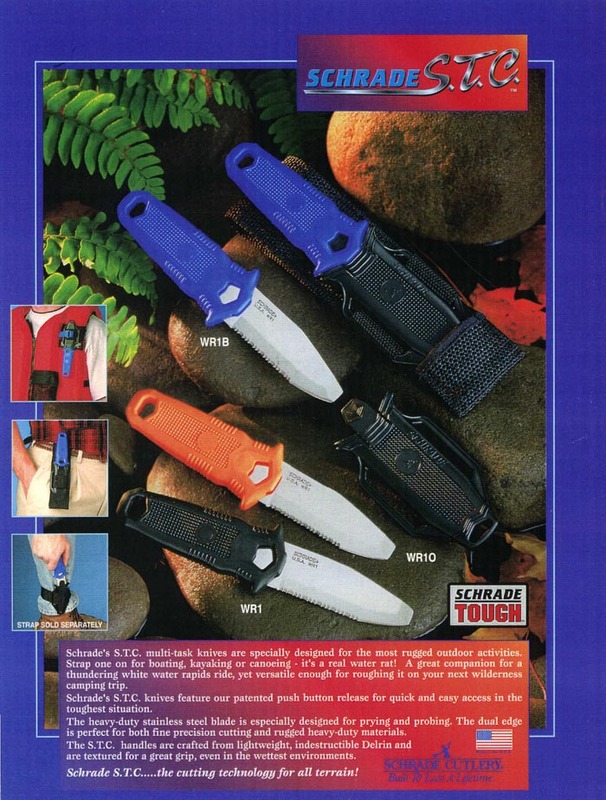 Some of the knives that are listed here appeared in the 2004 catalogs and price lists, but probably were never produced due to the bankruptcy. 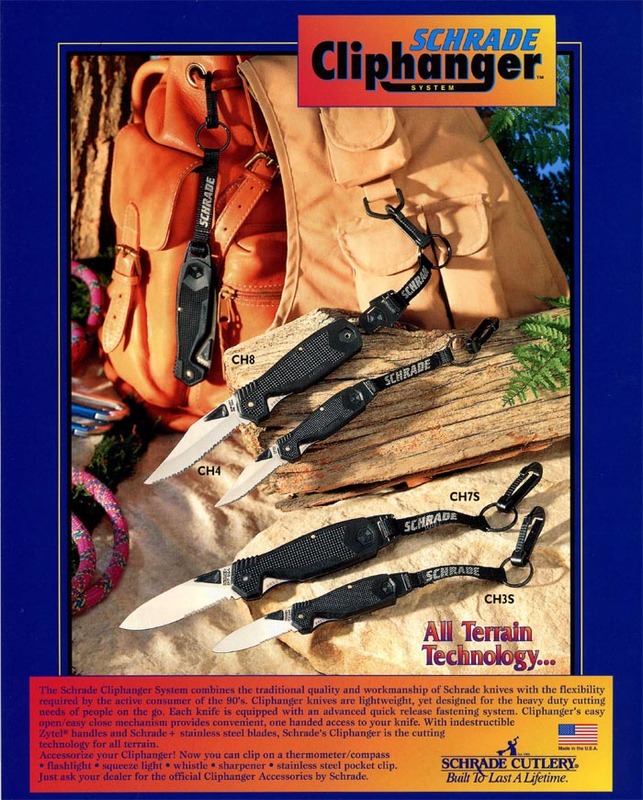 That is unfortunate, as there are two or three of those that I personally would like to own. 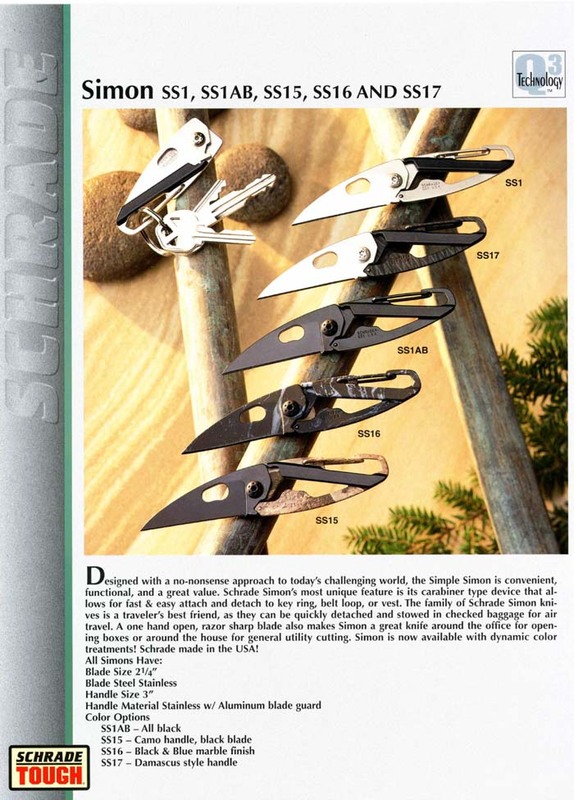 I have attached scans of some fliers that Schrade used for advertising purposes. 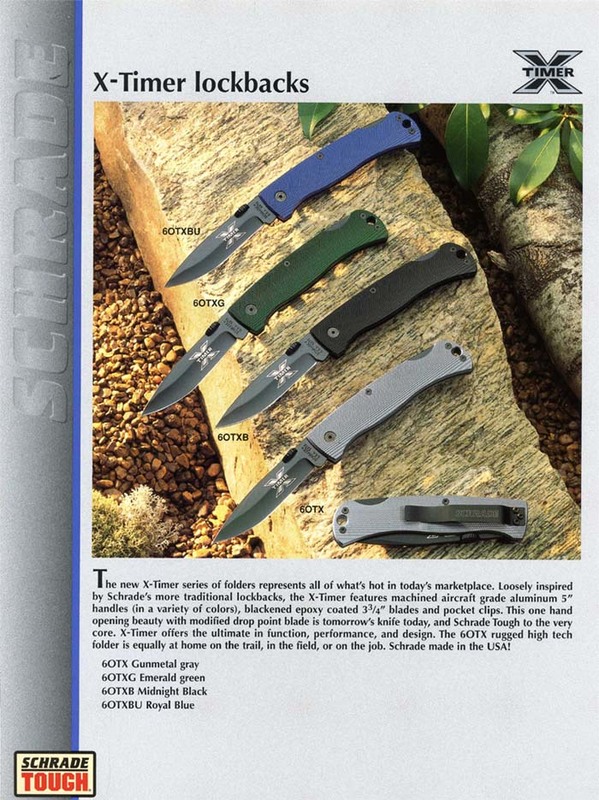 While they do not show all of the knives listed, they do at least give you an idea of what most of them looked like and how Schrade promoted them when they were released. The following knives only appeared in the 2003 price lists. The following knives appear to be am improved model of the 6OTX series and appear only in the 2004 price lists. 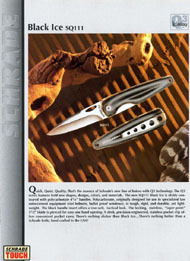 Note the hump on the back of the blade in this model that is not on the 60OTX series. 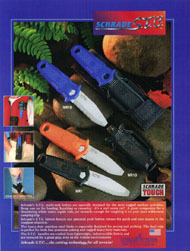 It is a thumb rest that gives much more blade control than the earlier 60OTX. 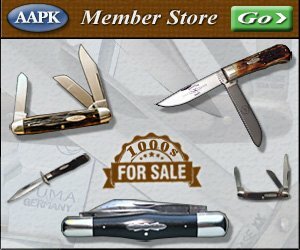 Click on the pictures to view the full size versions.